The first part of the town name derives from the Lombard dialect with the meaning of "settlement", while the second part refers to the geographical area in which it is positioned. 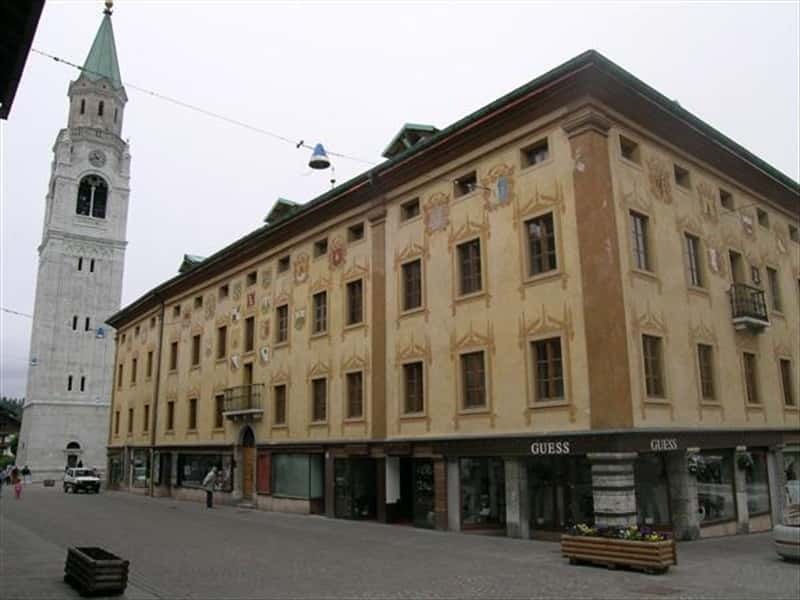 Municipality in the province of Belluno, located on the shores of Lake Santa Croce, in the Alpago basin, the territories, which includes a large part of the lake, reaches the plateau of Cansiglio, lies on the border with those of the regional capital. Farra is a popular tourist destination all year round. The discovery of tools and arrows, evidence the presence of inhabitants since the Palaeolithic Ages. Since the late Bronze Age, the area was populated by Paleovenitian tribes which shared the territories with the Celts. Later colonized by the Romans, that built here two bridges near the village of Buscole and who influence is still present in the names of several districts. With the dispersion of the Roman Empire, the Alpago basin submitted the invasion of the Goths, followed by the Lombards, who found themselves in these areas, characterized by the presence of large forests, similar to the environment of their homelands in Scandinavia. Farra was assigned to the Bishops of Belluno, and, then, to the Scala family, and finally, to the Venetian Republic, that granted to its inhabitants several privileges and autonomy. After the fall of the Venetian Republic in 1797, the area impoverished during the short period of French and Austrian domain. In 1866 the region passed to the Kingdom of Italy. - the Church of the Nativity of Our Lady in Runal, which is a famous pilgrimage site. - the Church of San Domenico in Pianture. - the Church of Saint Anthony in Buscole. - the Church of St. Apollonia. - the Church of Santa Croce. - the Church of San Vigilio. - the Forest of Cansiglio. This town web page has been visited 17,061 times.